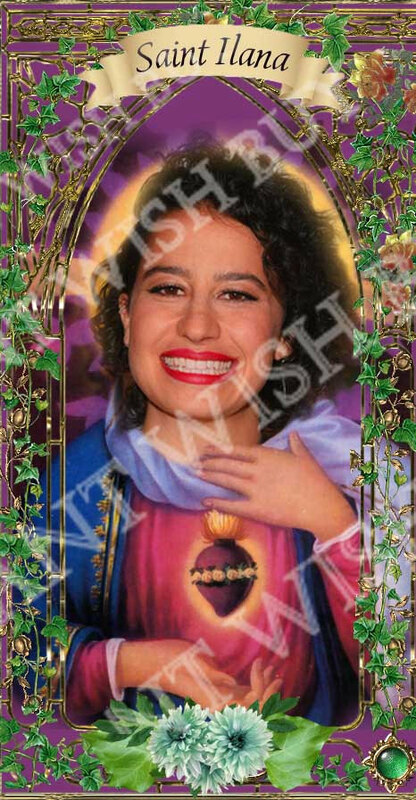 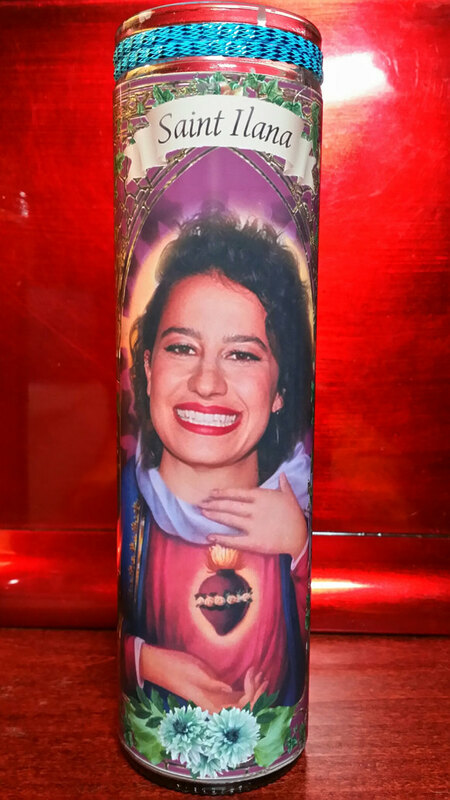 Broad City's Ilana Glazer - Celebrity Saint Prayer Candles - 8" tall white unscented candle in a glass container. 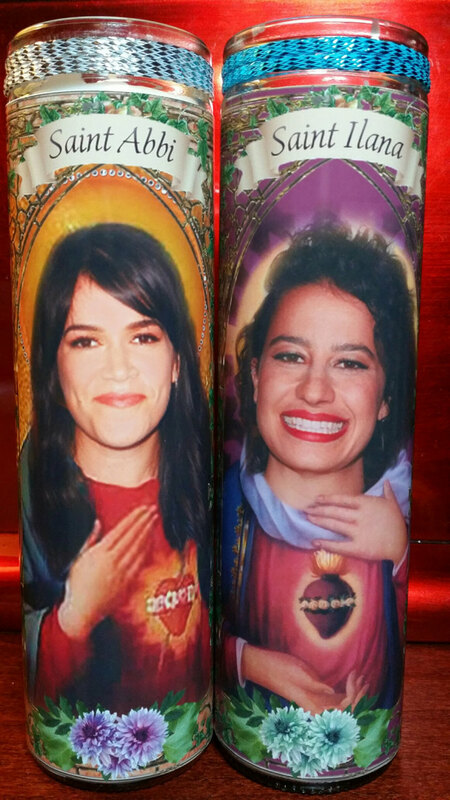 Makes a great gift for a fan! 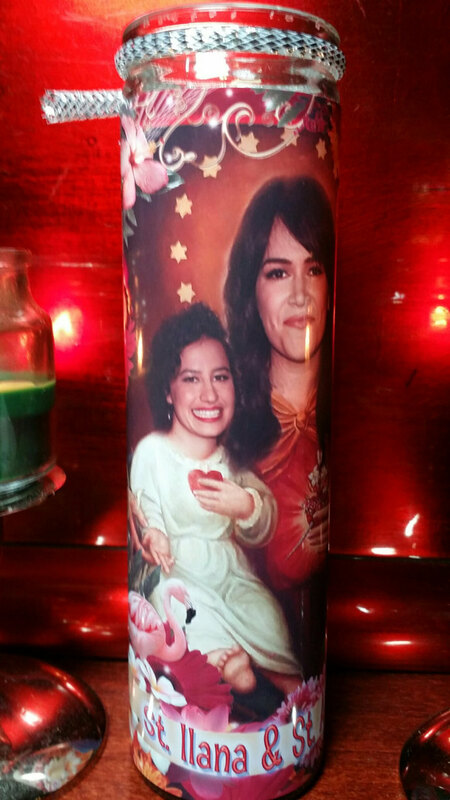 Also have the two of them on 1 candle and sold as a set of 2 candles (pictured) in other listings. 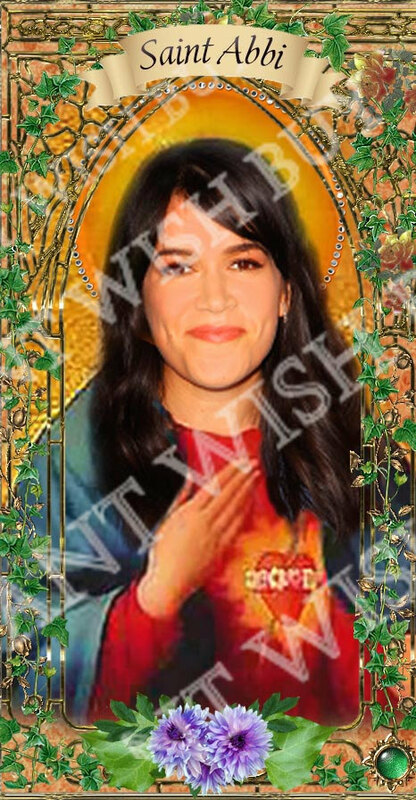 Also have Abbi Jacobson in another posting.